Baidu, the number one search engine in China, reported second quarter earnings of $1.26 per share, and revenues of $859 million. Both figures exceeded analyst expectations. That revenue figure is a nearly 60% increase over its previous tally from the year ago quarter. It’s profit was up 51%, compared to 2011. In its report, the company placed its results in the context of “macro headwinds and challenging comparisons” when stacked next to its second quarter of 2011. Despite that, the firm’s results have seen its shares rise by 7% in after-hours trading. Among its revenue sources, online advertising was a particular bright point, growing 59.7% year over year. 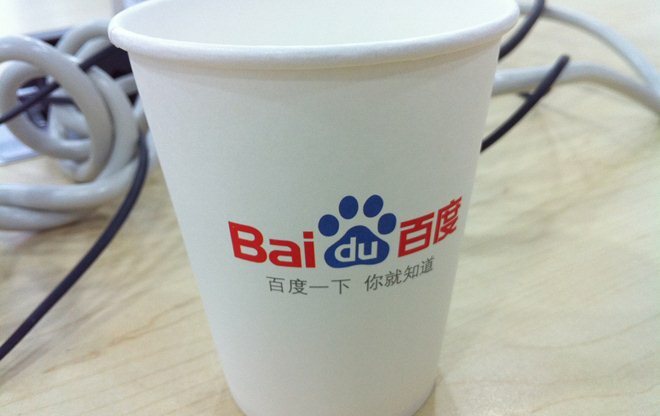 In the coming third quarter, Baidu expects revenue of $983.0 million. Interestingly, the Chinese Web giant paid an effective tax rate of 7.9% in Q2. At the end of the quarter, Baidu had $2.874 billion in cash while its net cash flow for the period was $478.6 million. Baidu accounts for a whopping 78.6% of China’s online search market, putting its streets ahead of rival Google (15.7%), according to data from Enfodesk, as its US rival clings on to market share despite relocating its search engine to Hong Kong in 2010. Not content with dominating the domestic market, Baidu is focused on growing into new regions and increasing its presence and monetisation on mobile. Overseas expansion features high on the search giant’s list of priorities this year. Having last week confirmed the launch of its Tieba Web forum in Vietnam, we can expect the company to continue to explore development opportunities in Asia and other emerging markets — such as Latin America — as it looks to demonstrate to investors that it can grow its empire beyond China. Mobile is another growth area earmarked by the firm and it is reportedly considering the acquisition of a stake in Chinese browser maker UC to boost its smartphone presence. Baidu has already announced its new mobile OS and strategy and, earlier this month, Japanese operator DoCoMo completed a $22.5 million 20% investment in Baidu Yi Xin, the duo’s mobile content venture. Total revenues in the second quarter of 2012 were RMB5.456 billion ($858.8 million), a 59.8% increase from the corresponding period in 2011. Operating profit in the second quarter of 2012 was RMB2.815 billion ($443.1 million), a 51.5% increase from the corresponding period in 2011. Net income attributable to Baidu in the second quarter of 2012 was RMB2.770 billion ($436.0 million), a 69.6% increase from the corresponding period in 2011. Diluted earnings attributable toBaidu per ADS for the second quarter of 2012 were RMB7.86 ($1.24); diluted earnings attributable to Baidu per ADS excluding share-based compensation expenses (non-GAAP) for the second quarter of 2012 were RMB8.01 ($1.26). Baidu reported total revenues of RMB5.456 billion ($858.8 million) for the second quarter of 2012, representing a 59.8% increase from the corresponding period in 2011. Online marketing revenues for the second quarter of 2012 were RMB5.452 billion ($858.1 million), representing a 59.7% increase from the corresponding period in 2011. Baidu had about 352,000 activeonline marketing customers in the second quarter of 2012, representing an 18.1% increase from the corresponding period in 2011 and a 9.7% increase from the first quarter of 2012. Revenue per online marketing customer for the second quarter was approximately RMB15,500 ($2,440), a 34.8% increase from the corresponding period in 2011 and a 16.5% increase compared to the first quarter of 2012. Traffic acquisition cost (TAC) as a component of cost of revenues was RMB453.7 million ($71.4 million), representing 8.3% of total revenues, as compared to 7.9% in the corresponding period in 2011 and 7.8% in the first quarter of 2012. Bandwidth costs as a component of cost of revenues were RMB242.6 million ($38.2 million), representing 4.4% of total revenues, compared to 4.3% in the corresponding period in 2011. Depreciation costs as a component of cost of revenues were RMB251.1 million ($39.5 million), representing 4.6% of total revenues, compared to 4.2% in the corresponding period in 2011. These increases were mainly due to an increase in network infrastructure capacity. Selling, general and administrative expenses were RMB587.6 million ($92.5 million), representing an increase of 55.6% from the corresponding period in 2011, primarily due to an increase in personnel and marketing-related expenses. Research and development expenses were RMB545.5 million ($85.9 million), an 82.7% increase from the corresponding period in 2011. The increase was primarily due to an increase in the number of research and development personnel. Share-based compensation expenses, which were allocated to related operating costs and expense line items, were RMB53.9 million ($8.5 million) in the second quarter of 2012, compared to RMB34.7 million in the corresponding period in 2011 and RMB35.2 million in the first quarter of 2012. Operating profit was RMB2.815 billion ($443.1 million), representing a 51.5% increase from the corresponding period in 2011. Operating profit excluding share-based compensation expenses (non-GAAP) was RMB2.869 billion ($451.6 million), a 51.5% increase from the corresponding period in 2011. Income tax expense was RMB235.4 million ($37.0 million), compared to an income tax expense of RMB285.5 million in the corresponding period in 2011. The effective tax rate for the second quarter of 2012 was 7.9% as compared to 14.9% for the corresponding period in 2011 and 15.1% in the first quarter of 2012. The decrease in effective tax rate was due to a reversal of a tax provision the Company booked in 2011 for one of its subsidiaries at a non-preferential tax rate. This subsidiary has obtained a high and new technology enterprise tax license in the second quarter. Net income attributable to Baidu was RMB2.770 billion ($436.0 million), representing a 69.6% increase from the corresponding period in 2011. Basic and diluted earnings per ADS for the second quarter of 2012 amounted to RMB7.87 ($1.24) and RMB7.86 ($1.24), respectively. Net income attributable to Baidu excluding share-based compensation expenses (non-GAAP) was RMB2.824 billion ($444.5 million), a 69.3% increase from the corresponding period in 2011. Basic and diluted earnings per ADS excluding share-based compensation expenses (non-GAAP) for the second quarter of 2012 amounted to RMB8.02 ($1.26) and RMB8.01 ($1.26), respectively. As of June 30, 2012, the Company had cash, cash equivalents and short-term investments of RMB18.257 billion ($2.874 billion). Net operating cash inflow for the second quarter of 2012 wasRMB3.040 billion ($478.6 million). Capital expenditures for the second quarter of 2012 were RMB722.0 million ($113.7 million). Adjusted EBITDA (non-GAAP), defined in this announcement as earnings before interest, taxes, depreciation, amortization, other non-operating income and share-based compensation expenses, wasRMB3.207 billion ($504.8 million) for the second quarter of 2012, representing a 54.4% increase from the corresponding period in 2011. Baidu currently expects to generate total revenues in an amount ranging from RMB6.245 billion ($983.0 million) to RMB6.410 billion ($1.009 billion) for the third quarter of 2012, representing a 49.6% to 53.5% year-over-year increase. This forecast reflects Baidu’s current and preliminary view, which is subject to change.